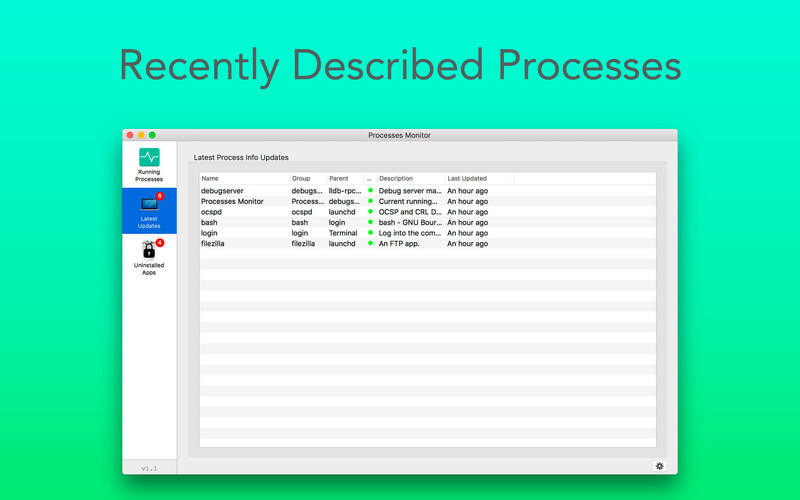 Process Monitor segregates the processes running to show for which app the process is running. If the processes are unidentified, they will be marked as blank; if they are identified and description is available, it indicated in green. 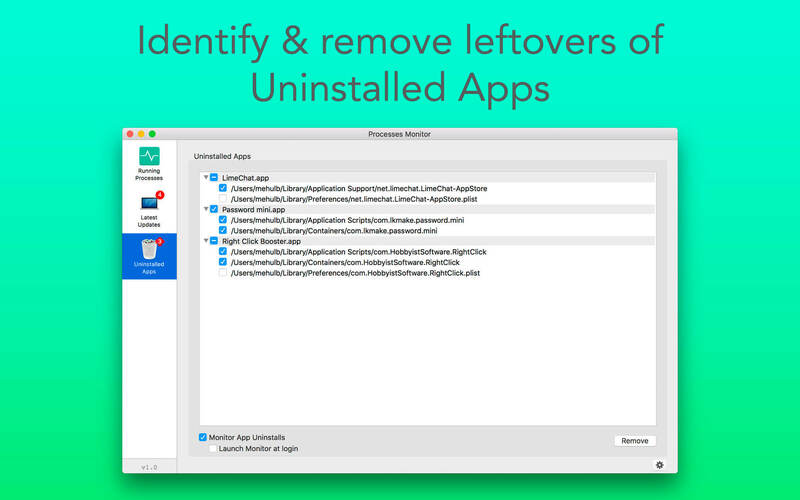 Also track down where apps are located on your computer. 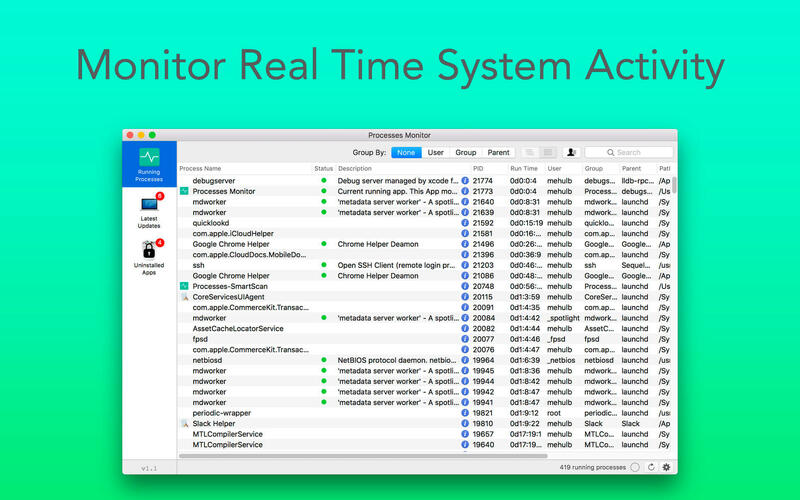 Get all details of apps running in the foreground and background from the menu bar. Note: If you find any process undefined and you know the process details, then yes, you can suggest it and your contribution will be credited with your name and other details.